Welkum Park, owned by the Municipality of Shelburne, is a small day use park tucked away on Welshtown Lake about 14km from downtown Shelburne. Its features include a sand beach, unsupervised fresh water swimming, picnic tables, 3 gazebos, change rooms, washrooms, and garbage containers, During the months of July and August Red Cross Swim lessons are offered by the Municipality of Shelburne Recreation and Parks Department. Located in Jordan Falls beside Highway 103, just before Exit 24, near the bridge that crosses the Jordan River. 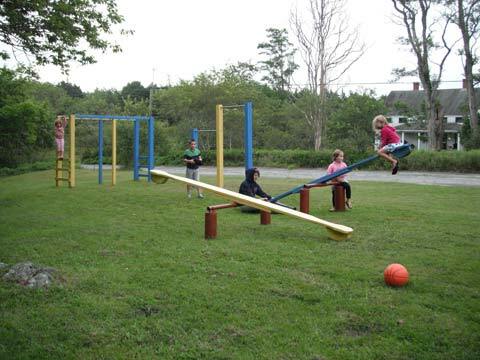 It includes climbing bars, teeter totters, a basketball hoop, several picnic tables and one enclosed picnic table area.